The new UL-certified Sunny Tripower TL-US is designed specifically to meet American requirements for mid to large-scale decentralized PV systems. 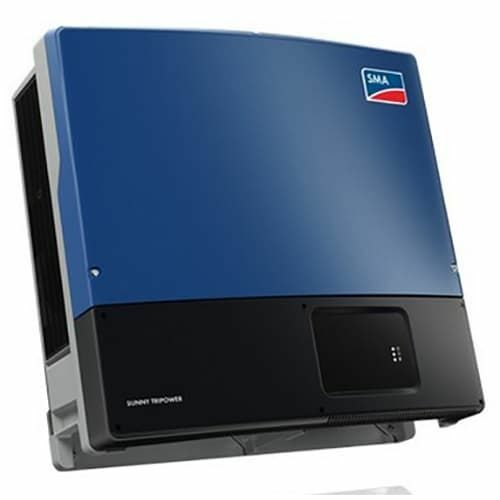 With a peak efficiency of above 98 percent, OptiTrac Global Peak shade management, a DC input voltage range of up to 1000 volts this three-phase, transformerless PV inverter has everything needed to ensure high efficiency. A security the Sunny Tripower can offer, thanks, in part, to integrated arc fault detection. Equipped with two independent MPP trackers, the Sunny Tripower TL-US can be used in applications with input voltages of up to 600 and up to 1000 volts, offering enormous flexibility in the design of a PV system. Grid management functions are of course included as standard as well as the most cutting-edge communication and monitoring technology. yes / opt. yes / opt. yes / opt. yes / opt.